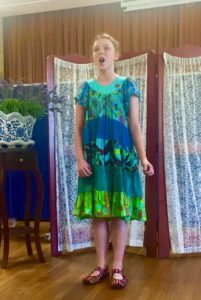 Christine Beasley’s 2015 singing concert was a wonderful success, with an audience of over 70 people, and finished off with an inviting and sumptuous afternoon tea. “An absolutely magnificent afternoon and evening spent in lovely company, and of course some talented entertainment. Abira’s magical singing teacher held her end of year concert with Abira opening the afternoon with ‘Colours of the Wind’ – from Pocahontas, and ‘When you Wish upon a Star’ from Pinocchio. Thank you to all our dear friends who attended and to those who expressed their support for Abira though had other commitments. Thank you so very much to Christine Beasley for your wonderful dedication to your students and sharing your love of song and storytelling. Merry Christmas Christine to you and your lovely girls, and thank you dearly for your supportive coaching of Abira’s voice this year, and sharing your passion of storytelling with Abira. Your dedication to your students in their development and joy of singing was evident from your concert. I particularly enjoyed your Eliza Doolittle piece. Visit the photo gallery at Singing Students Concert 2015 to see more images from our concert. Thank you to all my talented and dedicated students. I am so blessed to have these students – ordinary everyday people who want to learn a technique for singing and develop even further through the experience of performance. Christine Beasley is a Singing Teacher in Sydney. If you are interested in singing lessons then contact Christine on her contact page or phone 0400 446 328. Christine is also an accomplished Soprano and qualified Civil Marriage Celebrant. To learn singing from Christine has been a joy. 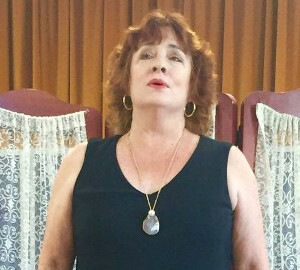 For over two years she has been a helpful and instructive singing teacher and from whom I have learned a lot .I would recommend her to anybody wishing to learn singing.